English painter, printmaker, photographer and stage designer. 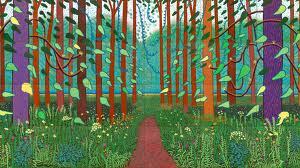 Perhaps the most popular and versatile British artist of the 20th century, Hockney made apparent his facility as a draughtsman while studying at Bradford School of Art between 1953 and 1957, producing portraits and observations of his surroundings under the influence of the Euston Road School and of Stanley Spencer. From 1957 to 1959 he worked in hospitals as a conscientious objector to fulfil the requirements of national service. On beginning a three-year postgraduate course at the Royal College of Art, London, in 1959, he turned first to the discipline of drawing from life in two elaborate studies of a skeleton before working briefly in an abstract idiom inspired by the paintings of Alan Davie.